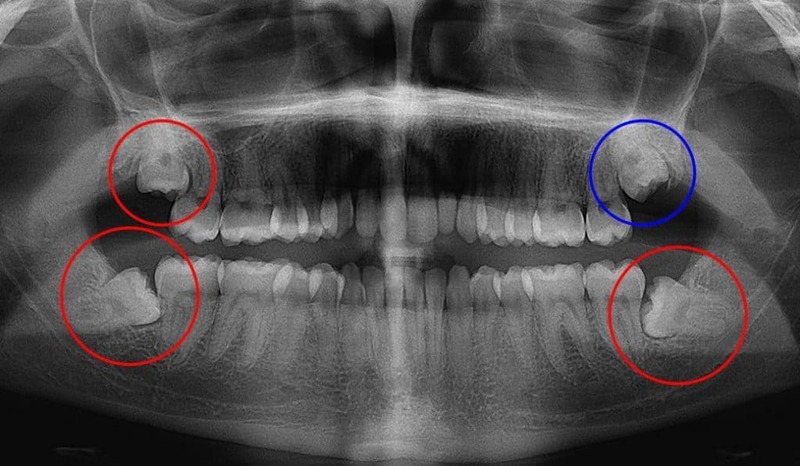 Wisdom teeth (third molars) are the very back teeth either side of the upper and lower jaws. They are the last teeth to erupt usually seen between the ages of 18 and 21 years. often the first sign of a problem is a dull ache in the back of the mouth. An x-ray may be required at this stage to help the diagnosis. If only part of a wisdom tooth comes through it can be difficult, if not impossible to clean. As a result bacterial plaque and food debris can get under the flap of gum causing infection and inflammation (known as pericoronitis). The pressure from wisdom teeth can complicate orthodontic treatment. It may be decided that they be removed to help keep the teeth in front in their correct positions. Inability to adequately clean impacted wisdom teeth can lead to decay and gum problems, damaging not only the wisdom teeth but also adjacent teeth. Removal of problem wisdom teeth resolves these cleaning problems. Often fully erupted wisdom tooth can be removed by using ordinary tooth extraction procedures. 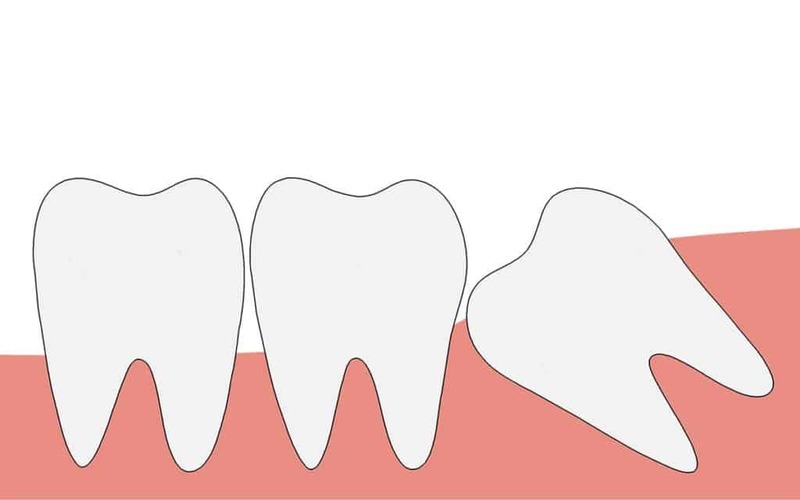 However for impacted wisdom teeth a surgical approach may be required to simplify tooth removal. For lower wisdom tooth surgical removal, careful assessment needs to be made of the dental nerve and Dr McEwen will discuss this with you. Some swelling and discomfort can be experienced for a few days afterwards, especially when surgery has been involved. During this period analgesics should be taken to prevent discomfort. Sutures are removed after 5 days. By the end of 10 days healing should be well underway. © 2019 Smile Sydney. All rights reserved.